a high quality product recommended regularly by new comers of the glass cutting field. Its characteristics are crystal clear diamond good for vertical cutting. Emery wheel dressers & cutters. Being a leading firm in this industry, we are deeply engaged in offering a high-quality range of 14 and 15 Wheel Cutter. Wheel cutter is a handy tool and easier to use than scissors. Free hand movement allows it to cut in any direction. Good for veils, light weight cloth and fabrics. Soft padded handle with automatic guard allows complete comfort and safety. 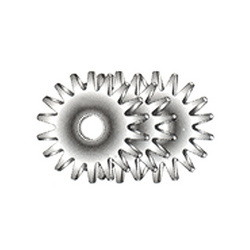 Standard 45 mm diameter tungsten steel blade provides clean cutting. Relying on our expertise in this domain, we are into offering Wheel Brush Cutter. We are trusted as a one of the distinguished manufacturer, exporter and supplier of quality approved Cutters Dressers. The offered product is manufactured utilizing top grade material in compliance with set standards. In addition, this product is examined on various stages by our quality controllers assuring its flawlessness. Appreciated for its excellent cutting efficiency, the Toyo TC - 30 Wheel Cutters is procured from trusted vendors in order to ensure high standards of quality. 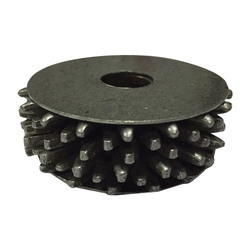 Backed by a group of diligent and skillful experts, our enterprise is highly devoted to provide an excellent quality of Case Wheel Brush Cutter. We are a top notch supplier of Crop Cutter. for a all standing crop cutting this machine is used in those crops that can be soing by machine in a line of distance of 6 inches and ro is on proper gap and also cut the grass between stones very conveniently with metal blade without any damage of blade.